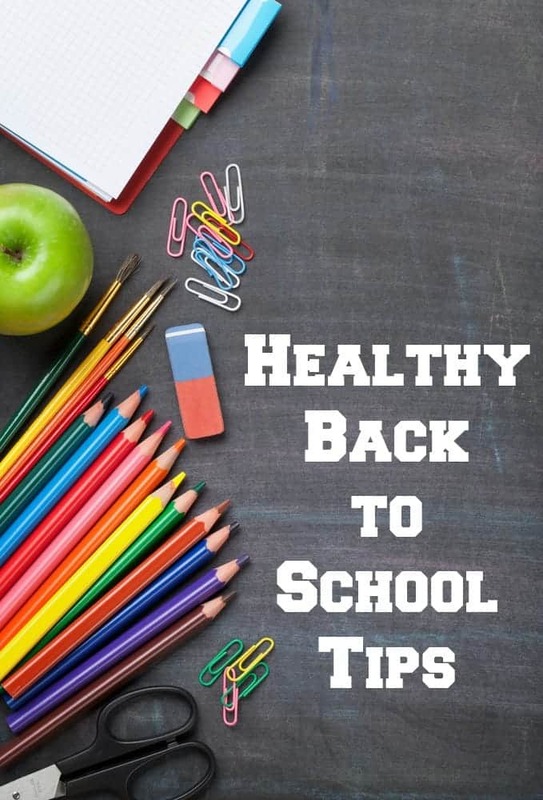 Are you looking for back to school shopping tips already? It seems like summer just started but according to that pesky calendar, my kids go back to school next week. That is going to be a seriously rude awakening for my teenagers. They have been rather sloth-ish this summer and have pretty much grown roots and become addicted to their mobile devices. 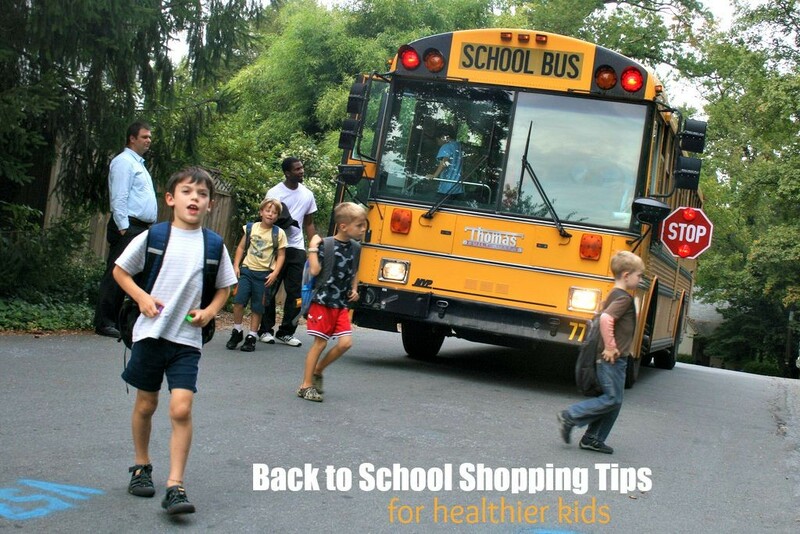 As you begin your own back to school shopping trips, I would like you to take a few minutes to consider how your back to school shopping can improve your child’s health. Not only during the school year but long term as well. Whether you choose to make healthy snacks like my applesauce quick bread or try to improve your children’s sleep habits, focus on better health this back to school season! The minute kids go back to school, they are inundated with germs. However, it isn’t just colds and flu that you need to worry about when it comes to your child’s health. There are so many factors that influence your child’s physical and emotional health that it can be a bit overwhelming. Here are a few factors you may have never considered when it comes to healthier kids. Cheap shoes will lead to nothing but a lifetime of back problems and foot pain. Yes, it’s tempting to hit the cheapest shoe store you can find but you really do get what you pay for. You are better off buying one pair of high quality sneakers than buying 5 pairs of cheap ones that will lead to a lifetime of pain! Sure, those cheap backpacks with kittens and cartoon characters may be cute but when your child gets a little older, cheap backpacks can cause serious back problems. My teens carry a ridiculous amount of weight on their back every single day. Investing in a high quality backpack will help ensure that the weight doesn’t do damage to their growing skeletal systems. Take it from me…cheap backpacks will end up breaking before the year is even over. Within 2 weeks of heading back to school, my kids almost always bring home some sort of sniffly, sneezy, nasty little germs. Schools are a cesspool of illness and while healthy eating is important, we all take vitamins as well. A general multivitamin, Acidophilus, Vitamin C and a few others make regular appearances at our breakfast table. A lunchbox is one of the most important back to school shopping items I can suggest. The school lunch program offers ridiculously unhealthy food at horribly inflated prices. Yes, it is easier to just send your kids with money to buy lunch. But bringing a lunch from home is significantly healthier. Let your child pick out their own lunch box and help you prepare their lunch in the morning. Check out my post on healthy lunchbox tips for more info. Check out these Back-To-School Lunch Prep Hacks from Tasty! An active kid is a healthy kid. While I don’t think that every kid NEEDS to play sports, I do think they should all be encourage to give it a try. While doing your back to school shopping, don’t just buy school clothes. Keep in mind what activities your child will be involved in and shop accordingly. Sports socks, quick dry shirts and shorts, a baseball hat to keep sun off the face, and even soccer cleats can be purchased online. Even if kids don’t play an organized sport, they should be encouraged to go outside and be active. Stock up on kids athletic wear so they have everything they need! Youth Sports: Surviving a season of Chaos! Every single back to school sale that I see seems to highlight hand sanitizer as a back to school need. Most hand sanitizers are full of some seriously nasty chemicals and recent studies are indicating that they do more harm than good. Plain old soap and water works just fine and even a few bacteria on our hands can be a good thing for strengthening our immune systems. If you really want hand sanitzer, check out a natural variety like Cleanwell Hand Sanitzers. Yes, I'm making sure my son is eating much better this year. I'm tired of him only want to eat trash. Really good tips, especially about getting ergonomic shoes and backpacks to reduce stress and strain. Good ideas to add to the back to school shopping list that could get overlooked! I am lucky my kids are fairly early risers, although not quite as early as they need to be for school. That will take some adjusting!